A little Australian moment, with links from Michael Storer’s always interesting Storer Boat Plans Facebook page. First (above), a stunning, award-winning piece of 1970 film about Sydney Harbour’s 18ft skiffs. They have a great history – Joshua Slocum mentions seeing them at Sydney in his solo round the world account Sailing Alone Around the World. 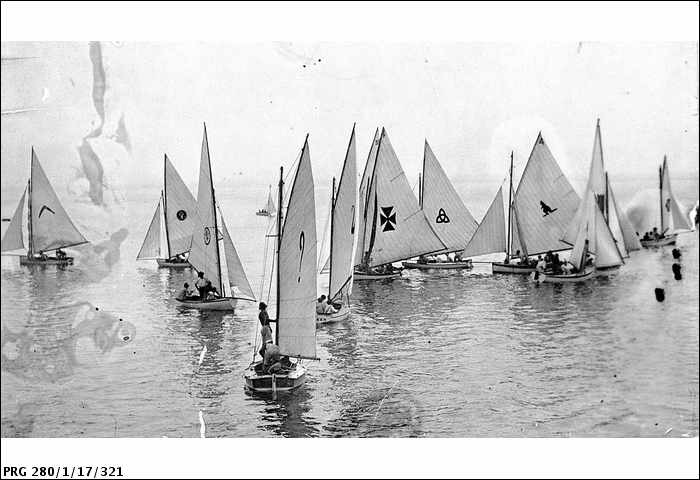 And then there’s this article about the history of Australia’s 14 Footers, a very different development from the Uffa Fox influenced International 14s that developed in the UK.